This student information packet, "All About Me", is a great resource to get to know your students better. 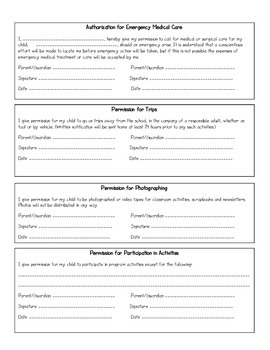 It also has specific permission forms that are good to have for your classroom. 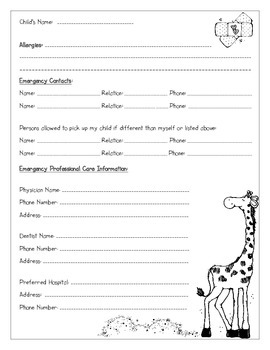 There are parts for the parents to fill out and parts for the kids to fill out. 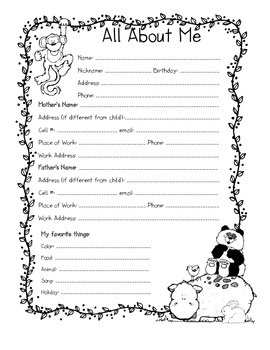 You can also have the kids color the animals on the pages. This packet contains 4 pages. Product can be personalized per request at no additional charge.